I really enjoy cream eyeshadows. 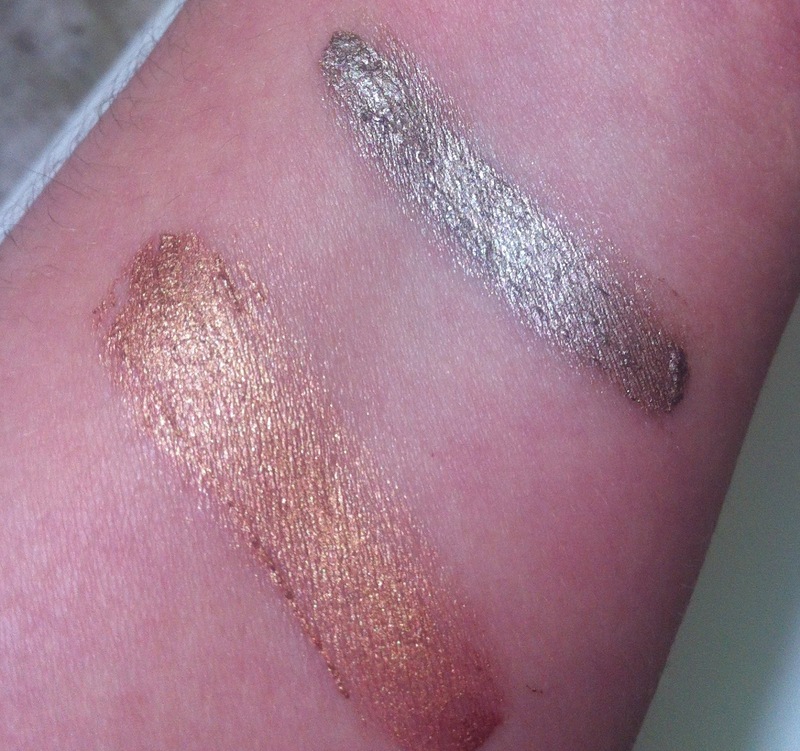 They are so easy and fast and can intensify powder eyeshadow colors when used as a base. I like being able to apply them with my fingers as a color wash all over the lid for a quick look. 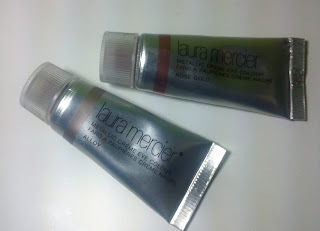 I have Laura Mercier Metallic Creme Eye Colors in Rose Gold and Alloy to show you today. They are packaged in a small silver squeeze tube which makes it very easy to get only a small amount of product out. There is a small stripe of color around the tube to show the color inside. They apply nicely with fingers or a brush, although it seems you get more color payoff when using a brush. Rose gold is a shimmery gold color that reads more copper on the lids and less pink than one might expect with a name like Rose Gold. Alloy is a shimmery taupe with a little platinum. These are both very metallic indeed and give the lids a nice glossy effect. These do crease on my somewhat oily eyelids without a primer after about an hour, but last a good 8+ hours using Urban Decay's Primer Potion underneath. You can find both of these at Lauramercier.com for $23 each.